years before he went Geneva. possessed of an immovable will that would stand him in good stead. 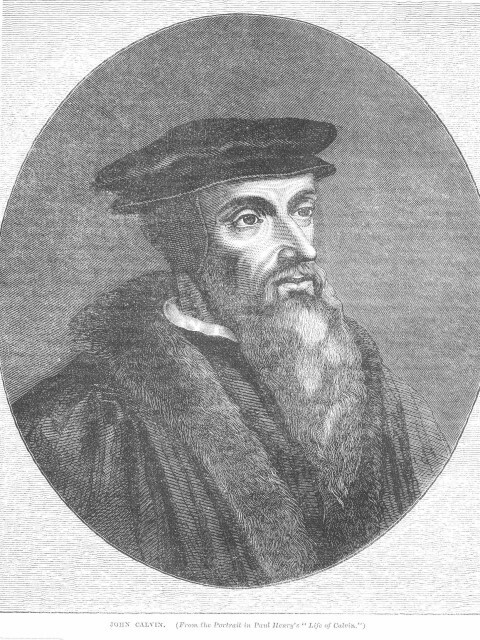 turning point came when he encountered the truths of the Bible about 1527.
did not stop the heresy, but gained only banishment for his troubles. and turned away from the Reformation. Calvin was the author and was still in Paris, prompting a search for him. Calvin was in his rooms at the College of Fortret when friends warned him. before turning to Angouleme and a student friend of the Du Tillet family. that the first Communion in the Protestant fashion, was held in France. and encouraged three local men to become evangelical preachers. by the Spanish adventurer Michael Servetus to debate the Trinity. Lutherans to be imprisoned, and preachers forbidden to enter the pulpit. two witnesses. He was keenly seeking suitable candidates for the stake. was prudent but also the opportunity to return to his beloved studies. arrested and burnt at the stake for heresy. became the centre of Reformed Protestantism. at a time when the limits of such a proposal were simply unknown. easy to visualise him saying to himself – “If I don`t ask, I wont get”. zealots of the best possible kind. and eventually the Pilgrim Father`s exodus in 1620.
from Johann Calvin, seine Kirc lie and sein Staat in Genf. Von F.
Fellow, Oxford; Chatterton Dix, Bristol,1872. happiness of seeing the Reformation firmly established in Geneva. his power to detain him. He needed such a man for a helper in his work. organisation and the relation of the civil to the ecclesiastical power. assembled citizens in the Church of St. Peter. surprise that Calvin’s little finger was thicker than the Pope’s loins. processions, their plays, their `merry andrews` (clowns or jokers) making mirth on the green. day was spent in feasting and dancing. But all this was now to be changed. and with no mirth, and the bride must appear without her tresses. legislation, every tavern in Scotland used to be shut. man, that such perfection was not possible.